Google Docs is like Mary Poppins’ magic purse. Underneath your standard cloud-based word processor fare is a seemingly endless supply of tricks, features and shortcuts. The platform doesnâ€™t immediately bombard you with options – in fact, Google Docs has always been modest in presentation – but it does reward those who do a little digging. Here are 10 reasons why I love Google Docs. I may be in the minority, but the offline capabilities of other cloud-based word processors (ahem, Draft) are often hit or miss. Sometimes I’m unable to type. Other times it takes ages for the application to save my work. But Google Docs doesn’t miss a beat when the Wi-Fi shuts off. It transitions smoothly from online to offline mode and still allows you to create new documents and work on existing ones. The moment you reconnect to the internet, all changes will be synchronized. To enable offline access, find the gear icon, click Settings, and check the box next to Offline. This is where things start to get interesting. Harnessing the power of Google, the Research tool lets you perform a variety of research tasks from the comfort of your Google Docs page. The tool takes the form of a sidebar with a Google search dialogue embedded inside. You can either search for everything, or limit your results to things like images, scholarly articles, and quotes. Then, with one click, you can insert them into your document. Most of the results have a Cite button as well, which will create a footnote citation. If you’re looking for a shortcut, right click a word and select Research. This will automatically bring up the Research bar and perform a web search. You can also select Define to automatically search the dictionary. Google Docs clearly has a phobia of multiple browser tabs, which is why it allows you to search for and insert links directly from your document. Either right-click anywhere on the document and select Link, or click the Insert menu tab and select Link. When you type a query into the ink dialogue box, it generates a list of links from Google. By partnering with third-party software, Google Docs is able to provide an impressive collection of enhancements, modifications, and extensions. You can find the entire list by clicking the Add-ons menu tab and selecting Get add-ons. To find what you’re looking for, you can either search for a keyword, sort the add-ons into different categories, or go on a scrolling safari through the whole lot of them. The word Garglecopter may not exist in Merriam-Webster, but it damn well does exist in your forthcoming sci-fi novel chronicling the ancient struggle between Garglecopters and Irklegorths, two alien races fighting for resources in an uncaring galaxy. To convince Google Docs that Garglecopter isn’t a typo, right-click the word and select Add to personal dictionary. Don’t be fooled by Google Docs’ minimalist aesthetic; this superstar can pull off a lot of wild looks. The Google Docs Template Gallery is teeming with well-designed press releases, invoices, resumes, newsletters, cover letters, and more. Once you select your desired template, it will open as a new Google Docs file. To access the template gallery, click the File menu tab, select New and choose From template. You can also create your own template and submit it for public use. When it comes to competing formats, Google Docs takes the high road by making it quick and easy to convert a document. To download a Google Docs document as a Word Doc (.docx), PDF, Web Page (.html) and more, click the File menu tab and select Download as. To send a document as an email attachment, click the File menu tab, select Email as attachment, and choose your desired format. Open the email containing the attachment and move your cursor over the attached item. Two icons will appear: an arrow and the Google Docs logo. Select the logo and choose which Google Docs folder you’d like to save the attachment. Sick of having to type out subdermatoglyphic in an essay about fingerprints? Tired of continually misspelling the word exercise? Google Docs’ automatic substitution feature lets you create customized shortcuts to automatically fill in certain words or phrases. Itâ€™s sort of like autocorrect, except it won’t make you want to throw your computer into a lake. To create a substitution, click on the Tools menu tab, select Preferences and fill out the Replace and With forms. For example, you might Replace subd with subdermatoglyphic or xrsz with exercise. Perhaps the application’s most powerful feature, Google Docs allows users to collaborate on a document in real-time. To share the document with collaborators, click the Share button on the top right corner of your screen and enter the collaborators’ email addresses. Specify if your collaborators are able to Edit, Comment, or View. To access more sharing settings, click Advanced. Suggesting Google Docs offers an Editing, Viewing, and Suggesting mode. When working in the Suggesting mode, all edits are tracked, similar to Word’s Track Changes. This allows everyone to see each edit as it’s made, and the document owner to either Accept or Reject the changes. Tag Collaborators If your document has a lot of collaborators, it might be easier to engage a specific person by tagging them in a comment. To tag someone, simply type the @ or + symbol followed by the person’s name. When selected, the person will be notified of the tag via email. 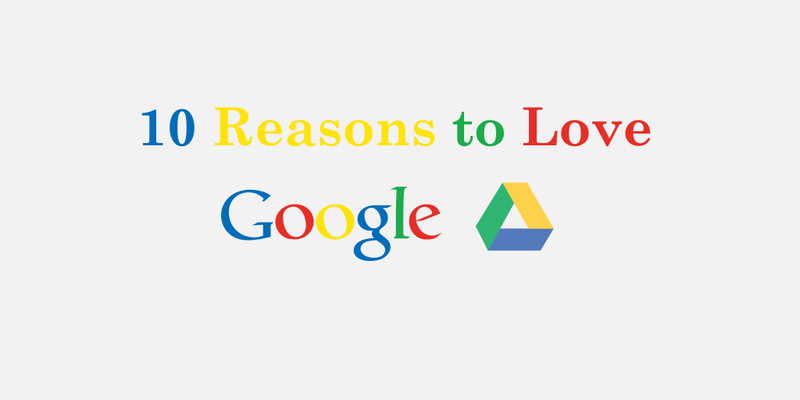 There are plenty more reasons to love Google Docs, but these 10 should whet your appetite. With so many ways to customize the application, you can opt for something slim and spartan, or go big with a mighty word processing powerhouse. Plus you’ll know that all your documents will be accessible no matter where you are, what computer you’re using, or what condition the Wi-Fi is in.